Wotif chief executive Scott Blume has refused to veer from his strategy to expand exposure to other travel segments and increase spending on marketing and IT to fend off competitors, despite investors wiping $282 million from its market value following a profit warning. Shares in the online travel company slumped as much as 32 per cent on Wednesday after it warned that first-half profit would fall by up to 20 per cent and cautioned that market conditions would remain volatile for the rest of this financial year due to soft consumer demand. They closed down $1.33 at $2.85. The plunge wiped almost $56 million from the paper wealth of high-profile businessman Graeme Wood, who has a stake of almost 20 per cent in the company he co-founded. 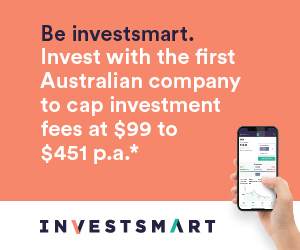 Wotif, whose websites include lastminute.com.au and latestays.com, has forecast net profit after tax of as little as $21.9 million for the first half, compared with $27.5 million in the same period last year. The company said total transaction value - the price at which goods and services are sold - was expected to be flat in the first half, while total revenue was forecast to rise by about 4.5 per cent due to commission increases boosting sales of accommodation in Australia and New Zealand. But analysts said the profit warning confirmed that Wotif's market share of Australian accommodation booking had fallen below 10 per cent for the first time since 2009, while costs had "risen alarmingly". Analysts from Goldman Sachs said it reinforced the level of investment required for Wotif to remain competitive. But Mr Blume said he would continue to implement a strategy where Wotif would increase spending on IT and marketing, and broaden its reach into other market segments. "We are still an incredibly profitable business. We still have very solid [pre-tax-earnings] margins, which is why I think this announcement has been over-read by the market," he said. In June, he told investors that the days of double-digit domestic growth were coming to an end. But he said Wotif would respond by increasing its flight and package bookings. It had raised spending on IT and marketing to achieve that as part of a "year of transition". Mr Blume, who began as CEO in January, said the retail environment remained soft and competitive, with costs rising dramatically as more players entered the market. "Some of it has been our lack of investment in the past in things like technology," he said. "But we need to build upon what we have been doing." "We have got some parts of the business that are performing quite well," he said, pointing to its flight bookings business. Moelis analyst Todd Guyot said Wotif had again demonstrated that structural challenges "given greatly increased competition and a prolonged period of underinvestment . . . will now require a prolonged period of catch-up".